What was it someone sang about not knowing what you’ve got until it’s gone? Car-wise this year got off to a slightly slow start for me, but I’ve recently had not one, but two, rather lovely premium executive saloons collected; both of which had price tags that not so long ago would’ve bagged you a tidy little terraced house. Said saloons both benefitted from keyless entry, heated seats, headlamps that dipped automatically, reversing cameras, and more voice activated touchscreens and apps than your average branch of Curry’s. One even had an electronically operated boot-lid which opened if you waved your foot below the back bumper. There was a heated steering wheel too. Last Tuesday a man arrived and took the second one away, exactly a week to the day since the first one had to go. Surely you can empathise with me when it comes to the loss of such things? But, do you really need all of that stuff? I can open my own boot with the handle, and without having to stand on one leg; I can dip my own headlights; and I’m happy to start an engine with a key. And whatever the sales and marketing departments try to tell you, pressing a button to change the radio station is still far easier than having to “teach” a computer to respond to voice commands. “Hey car, turn up the volume!” Turn it up yourself you lazy… Sometimes simple is just better. Which leads me nicely to the new Skoda Fabia. That’s not to say you can’t buy Skoda’s undeniably handsome and recently refreshed hatchback, without things like keyless start/stop, cruise control, a reversing camera, or a panoramic sunroof. It’s just that the 1.0 litre TSi SE – Skoda’s press office kindly lent me – didn’t have such things. Neither did it have a spare wheel as standard for that matter, which I think might be a cost saving too far. I’d gladly pay the £110 for reassurance of knowing that’s in the boot. Sat-nav on the other hand was fitted, albeit as an extra – Skoda’s very clear Admunsen system is a £570 option – but most of the time I know my way around anyway. The Fabia doesn’t feel in any way spartan I hasten to add. You still get a DAB radio, a multi-function, leather-wrapped steering wheel, Bluetooth, SmartLink – which enables either Apple CarPlay or Android Auto – air conditioning, a host of safety systems with acronyms such as ABS, EBD, ASR, and HBA, and some other very useful things such as an umbrella under the passenger seat, and an ice-scraper mounted discreetly on the back of the fuel filler flap. You don’t get those on executive saloons. You also get 3 knobs, instead of a touchscreen, to adjust the air-conditioning. I prefer them: they’re far more tactile and as always, far less distracting. And I’ve never really understood why you need to adjust the temperature of your car’s interior in 0.5 degree increments anyway. There’s also a nice and simple feel to the way the Fabia drives. Skoda’s diminutive VW-derived turbo-charged 3-pot engine quietly thrums along nicely and seems to punch way beyond its weight. 0-62 takes little more than 10 seconds – fine for something that’s destined for dashing in, out, and no doubt around, town – and the 5-speed gearbox has a light and slickly-engineered feeling shift. The Fabia’s electrically powered steering feels a little elastic-y in its action perhaps, but that said it’s never anything but direct and accurate in its operation, and the ride is good too. The Fabia feels comfy, without being stodgy, whilst simultaneously ironing out all but the worst of the bumps. There’s also plenty of space. Two six-footers can happily sit behind two more and the Fabia gets one of the biggest boots in its class, not to mention a 60/40 split folding rear-seat and a couple of sturdy and moveable hooks to hang any awkward bags on. A variable boot floor is also an option, at £110, and Skoda offer a bike carrier – should you need one – for £180. 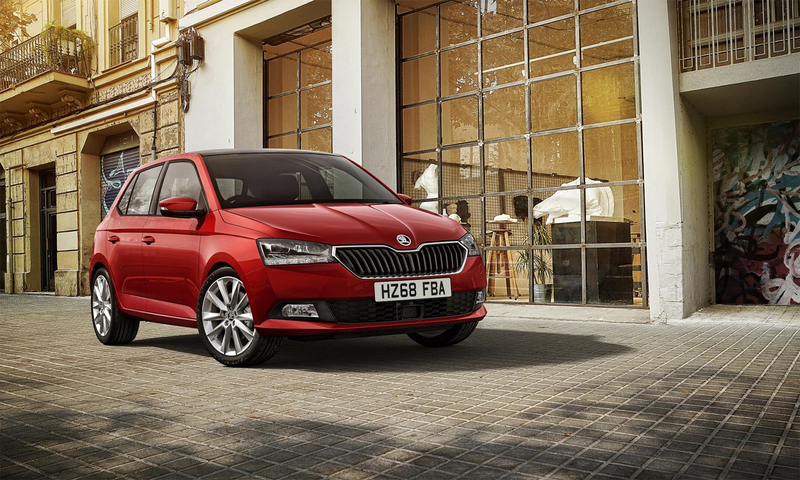 So, as you can see, the Fabia might not come with all the frip-peries of an executive saloon, but neither does it come with the associated price tag. It will seat four people, carry their luggage, and not resort to a heavy thirst whilst doing either. It’s no sports saloon by any stretch of the imagination, but neither is it trying to be one. 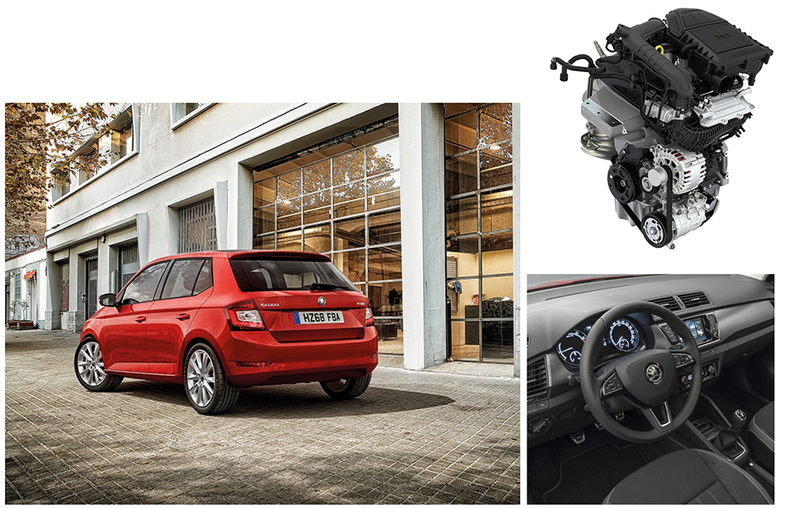 It’s quiet, comfortable and incredibly easy and surprisingly pleasing to live with – just like a supermini should be. The man arrived on Tuesday, the Fabia’s gone back to Skoda’s now. I rather miss it. Engine: 999 cc, 3Cyl, 16V Petrol, turbo.